The internet and cloud software have made it easier for business to operate. However, that convenience comes with a cost. While monetary costs are spread out to make it easier for business to use these services, every one of them comes with a security risk that has to be taken into account. 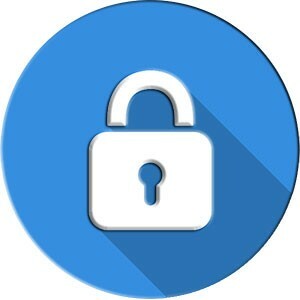 Google recently announced that there was a security flaw in Google+ that allowed access to their systems. That flaw could conceivably have given hackers access to you Gmail accounts, Google Docs, and other software that you are using for business. While Google is far from alone, the fact that their systems (including Android and Chrome) are all geared to collect data makes them a tempting target for hackers to steal your information. The same goes for Facebook. The business model of these companies is to collect your data and sell it to advertisers. Those advertisers are hardly the only ones who want your data. Another security hole comes in the form of “personal assistants.” Google and Alexa listen in on your conversations and use the information to target ads. However, a few months ago a bug in Alexa allowed it to record one person’s conversation and send it to random people on the person’s contact list. Now imaging if someone wanted to listen in on you on purpose. It is important to remember that as more items connect to the internet, they can all be hacked. Keep this in mind and remember to protect yourself with firewalls, VPNs, backups, and common sense.